Having wanted to do charity work overseas for many years, and over a year planning, I cannot believe it is finally here! The charity I will be working with over the next few months is 'TOP Banana'. TOP stands for 'Tshesebe Outreach Project' and Banana is the Setswana word for 'Youth'. 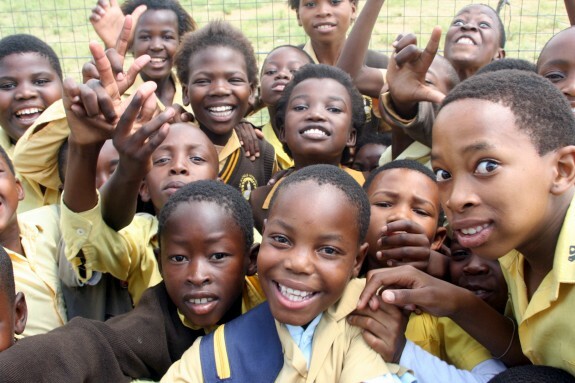 The charity is based in Botswana, where HIV / AIDS is literally killing an entire generation (aged 18 – 40) that has left behind thousands of children. In the absence of parents, orphaned children are increasingly being cared for by close relatives. Many households are overcrowded and are struggling to feed this growing number of children. For some children, the only alternative is a life of crime or prostitution in their struggle for survival. TOP Bananas main focus is to provide an opportunity for orphans & vulnerable children to develop in a drug free, crime free environment that offers shelter, education, skills, positive attitudes and personal qualities through the culture of learning and work. The charities aim is for them to gain skills to become integral members of society.They offer a safe place for children to play, read, do their homework, eat, have a shower and, most importantly, have a childhood. Nick Hi, does anyone have an email address for someone working at Top Banana? I am in Botswana and would like to visit them to see where I can help. personal err ok seems cool exept 4 the dam part!! Dave Munn Wicked! Go the bat in the living room! It probably wasn't the same one we found when I lived there though...but you never know. Was the frog still living in the door? Bakkie Sheri! pretty- did not know she did a contest! bakkie Cute ! number seven from left is my sisters little gal! Nov 29, 2010 re: My artwork attempts!